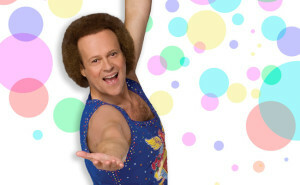 You may recall the other day I wrote about how for most of the last year it has felt like I lost my inner drill sergeant and instead had him replaced with a Richard Simmons-esque trainer, someone who wants you to workout, just not that hard. Well since writing that and pretty much since the new year began I have been trying to get more of a sarge mentality back into my workouts. For example today I started my workout with a set of 50 push ups, something I haven’t one setted in awhile. When I got to 40 reps I was getting down to 1-2 rep then pause territory. The less intense inner voice would have been saying, “good enough”. Today the voice was saying “I don’t care how long you have to hold rigid plank to rest, your knees don’t touch the ground until you push up the 50th time” It was painful and uncomfortable but I did it. In general I am trying to take a +1 mentality. Before you start off anything you normally set some sort of mental number in your head of the amount of reps you want to achieve. Today I was +1’ing that number. I hit my mental goal, pause briefly and then do another. A +1 attitude is the way to improve, progress and achieve. I need more of it.